It's official: Facebook is now the proud owner of virtual reality's biggest champion, Oculus VR. It was announced back in March that the social network would be snapping up the creator of the Oculus Rift headset. "We're looking forward to an exciting future together, building the next computing platform and reimagining the way people communicate," read a joint statement confirming that all paperwork had been signed and all hands shaken, which was spotted by CVG. 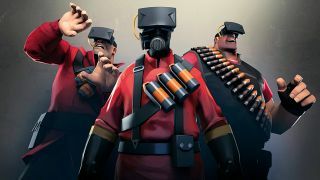 Understandably, the internet hasn't respond too positively to the acquisition, but Imre Jele, co-founder of Bossa Studios (creator of VR title Surgeon Simulator) and BAFTA games committee member, told TechRadar that Oculus has promised him things will not change under the new regime. "I'm not going to name the person, but I got an email from one of my mates at Oculus [on the night of the announcement]," he told us. "It basically just said in the subject 'Please don't worry, nothing will change. Let's talk later.' It's funny because they knew it was going to be perceived badly." Imre also said he believes Facebook could turn out to be "the best thing to ever happen to VR", but that the money will not be made from the headset itself. 'The long term game is not hardware," he said. "I'm speculating here, but I think they want to control the access to content. Selling the hardware is great, but how often can you sell a new headset? "But they have the financial and cultural reach that's needed. And it's not just games. I know there are some studios already experimenting with films and other forms of entertainment… if anyone has the power to make something mass market, it's Facebook"
Jele also speculated that the price of the Rift will be "somewhere between two hundred and three hundred and fifty dollars" when we're finally able to escape into the Oculus metaverse, which will hopefully be before 2015 is through. Oculus Rift or Project Morpheus? Fiiiiiiight!